Feeling sentimental this evening. Two afternoons spent with my high school classmates from the Class of 57. 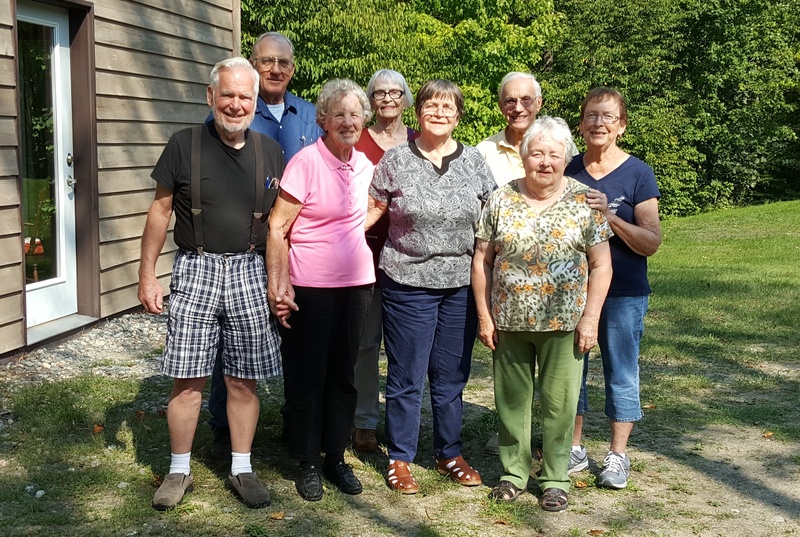 There are ten of us left from the original 21; eight of whom were present off and on at Judy and Ray Grundmeier’s woodsy haven just south of Northome. The weather’s was northern-fall perfection, the “hot dishes” and venison and rolls and salads and pies were delicious, and the talk was low key and affectionate of times past and present. I’ve only been to one class reunion and that was twenty years ago, so I really don’t know enough about what everyone’s done in the meantime to rewrite the Statler Brothers Class of 57 especially for us—although that would have been an fascinating challenge.Here are Ray (classmate) and Judy (Ray’s wife—class of 59) dancing to what has become Our Class Theme Song. I don’t quite know how to feel about these last two days. I was so very nervous driving the 60+ miles to Northome—the feeling when you’re about to meet very important people on whom you wish to make a good impression. And I did wish to… but wearing your favorite jeans and best black shirt won’t make you richer, smarter or hide any wrinkles. Damn. Then I was there…and it was remarkably familiar and comfortable; not like I’d-just-seen-everyone comfortable—more like this is who I am and where I’m from and I wouldn’t want it otherwise. This is melancholy I’m feeling isn’t it? 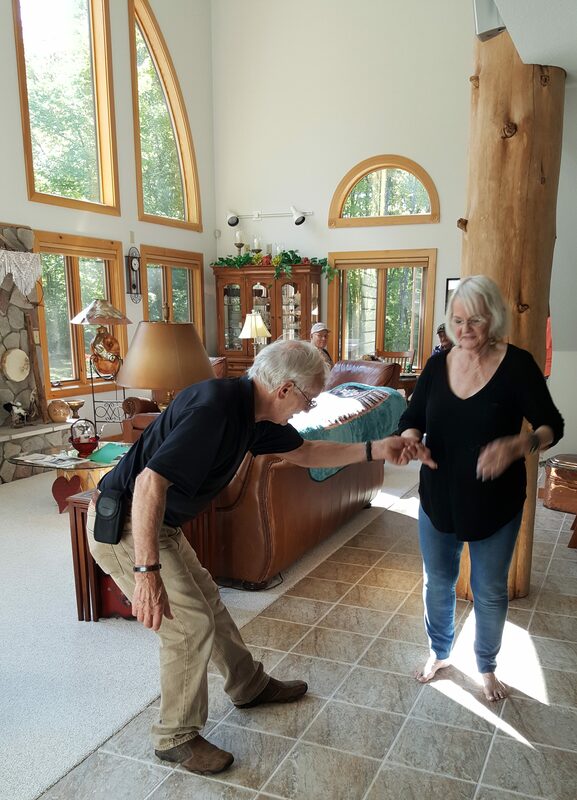 For the bright and hopeful youngsters we were in 57…and the joy and drama of being teenagers together in a tiny town in the northwoods. While it wasn’t all fun and games, there are moments which it would be nice to relive. But we can’t…and here we are. Thanks Ray and Judy. Lovely party. Labor Day with me catching up on your writings. I liked Arches and this sweet visit to friends back home the best so far. We had a week of temps over 104 and the 7,000 acre La Tuna Canyon fires are 30% out above Pasadena. I’m relishing your newest travel missions Ms. Neset. Take care.